Home / List of Weekly Arjitha Sevas in Tirumala. 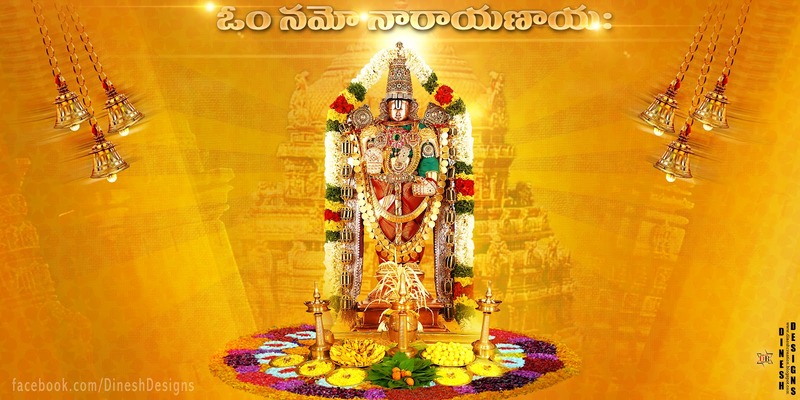 / List of Weekly Arjitha Sevas in Tirumala. Every Monday after second bell the utsava vigraha is brought to the mantapa for 'Chaturdasa kalasa visesha puja' i.e. 14 kalasas. After seeking Sri Malayappa Swami's permission ankurarpana and punyaha vachanam take place. As Panchasukatas are recited, Tirumanjanam is done to the utsava murtis starting with milk, water, curds, chandana and water. At the conclusion of the abhisheka arati is offered to mark the cumination of the seva. Purnahuti is offered to herald the conclusion of the homa. Naivedya is offered to God. The arkita Seva ticket holders are then given vastra bahumanam. This seva is conducted after the second bell. This ritual was first intorduced in Srivari Temple in 1984 when a muslim devotte offered Lord Srinivasa 108 gold lotuses. The archaka commences the puja by offering dhupa and dipa to the main deity. Then he recites the Dvadasa names of the Lord. While uttering each name of the Lord, one golden lotus is offered at the feet of the lord. On completion of the archana for the mula murti archana offered for Goddess Lakshmi and Padmavati. Later. Ratha arati is offered first, folleowed by ordinary arati. During this special service, the arjita ticket holders are seated in the Antrala corridor i.e. between the Kulasekhara padi and Bangaru Vakili. Every Thursday after sattumari, Tiruppavada seva takes place in Tirumamani mantapam. This service consist of cooking a large quantity of rice as pulihora and offering it to the Lord along with other sweet preparations such as payasam, laddu, jilebi, thenthola, appam etc. The cooked rice is heaped up in mukha mantapam to take definite customary primidal trapezoid shape and the delicacies are deposited thereon with coconuts, flowers, sandal paste, kumkum, deepam and is offered to the Lord with appropriate mantras. Abhishekam is done to the mulavigraha (presiding deity) first with water brought from Akasaganga (Suddodakam). The holy water is poured on the Deity through a conch covered with gold. after water the Deity is bathed in milk, folleowe again in water. Then the Lord is anointed with mixture of chandana, saffron and refined champhor. It is followed with a bath in water. The holy saffron tirumanjanam tirtha is collected in a silver vessel for later distribution to devotees. After that ahe Goddess on God's chest receives abhisheka. Abhisheka is traditionally done to the chanting of Purusha sukta, Narayana sukta, srisukta, Nila sukta and select prabandhas. Are kids of age between 2 to 6 years allowed for the astadala pada seva? How to get anga pradakshina tickets. Pls tell procedure. At Noon 02:00pm in CRO office tirumala, daily this Anga pradakshina tickets will provided. Only on friday this seva will not perform, for the rest of the days this seva will perform daily. 375 tickets for gents and 375 tickets for ladies, night at 01:00am this seva will perform. Abhisekaham tickets we will get in lucky dip system only, and this ekhanta seva now a days it is not performing. There is no online booking for this seva. Only in Luckey dip system, we can do it. Sir, I want to go for Kalyanostavam seva, me, my wife and my 17 years son are there. should i book 2 kalyanostavam tickets or in 1 ticket along with we couple my son can also be allowed. If my son is not allowed should I book 1 more kalyanostavam ticket for him and can take. Need clarity please help.